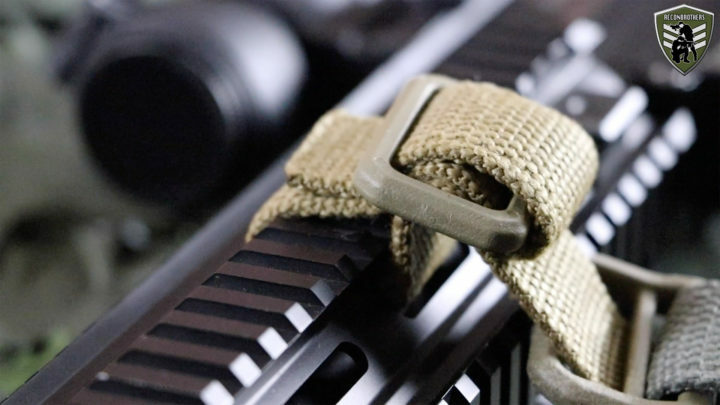 Well, worry no more, because we are about to teach you everything you need to consider for setting up your gun sling. 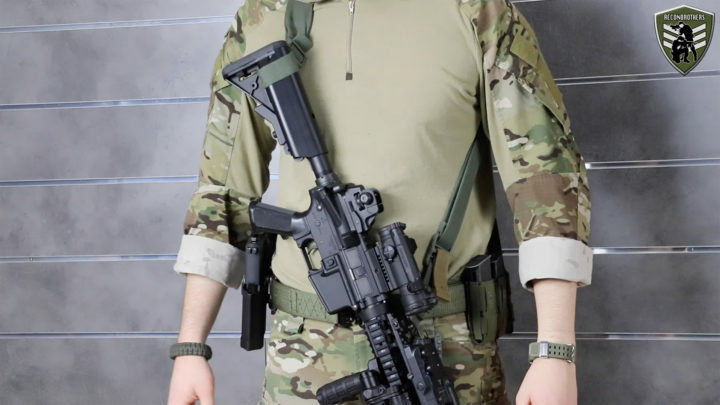 If you’ve got no idea of what sling should fit you best. 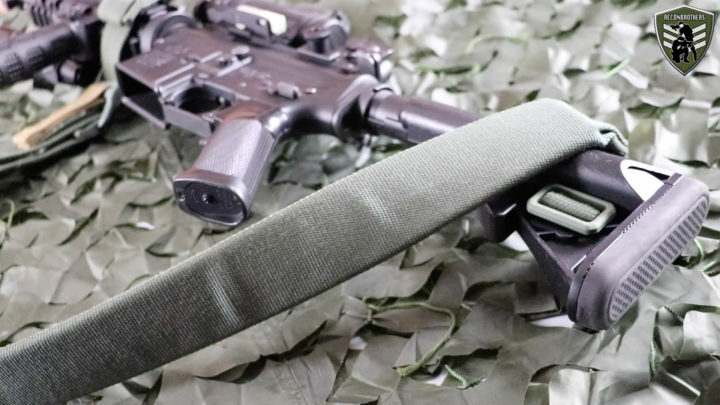 We suggest you to take a look at one of our previous blogs where we discussed the different kind of tactical gun slings and all their available extra options. So, if you want to learn all about them, take a look at the link in the image. 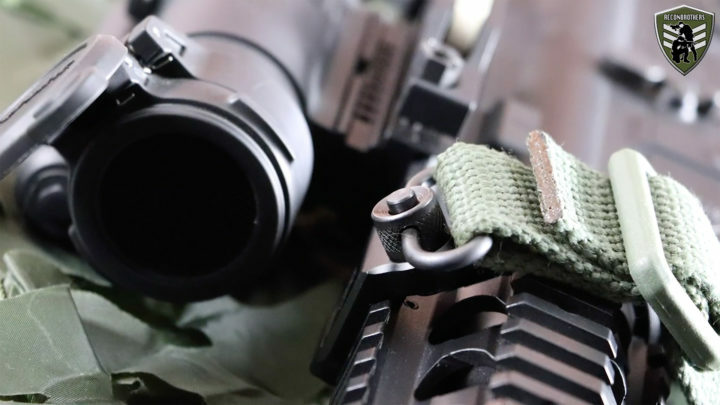 First thing to know when setting up your 1, 2 or 3-point tactical gun sling for your weapon system is. 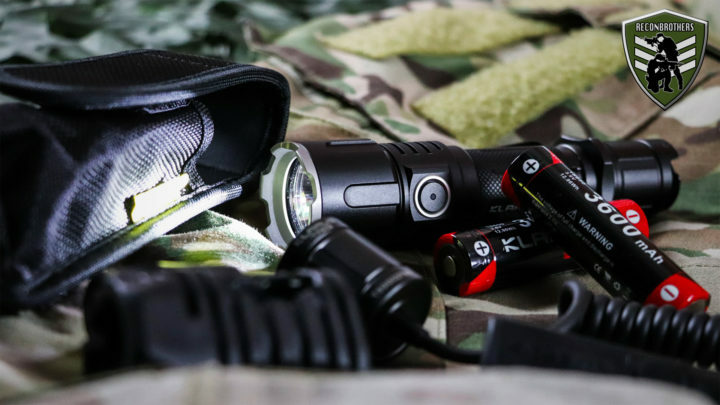 You have to adjust the length and test its functionality with the equipment you actually use. 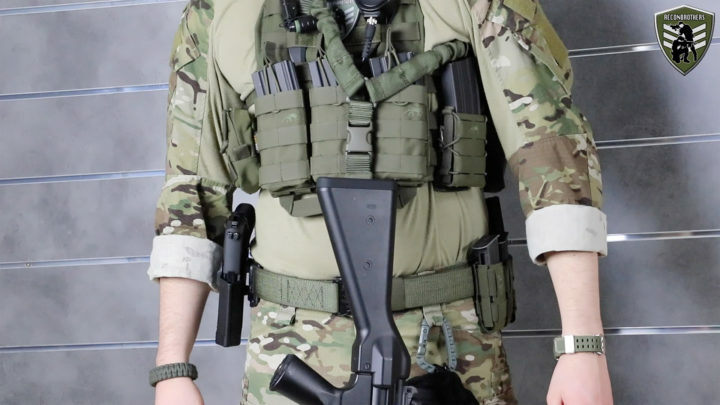 Meaning, if you carry a plate carrier, vest or whatever, put that stuff on and test what you can or cannot do with your tactical gun sling and weapon. 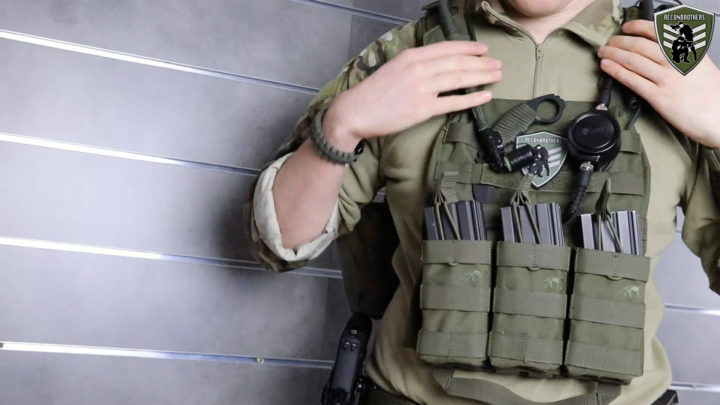 It’s also possible that you find the need to use different slings or sling setups regarding the weapon system you’re using or the specific situation you’re using it for. 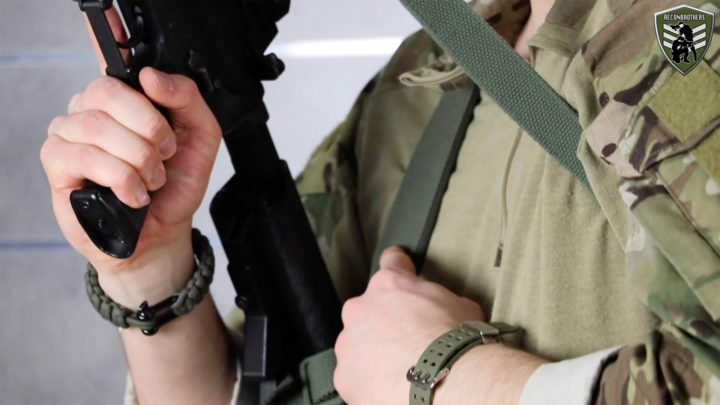 You can imagine that using a 2-point sling might be useful for your assault type of weapon but might not necessarily be handy for a certain type of submachine gun. 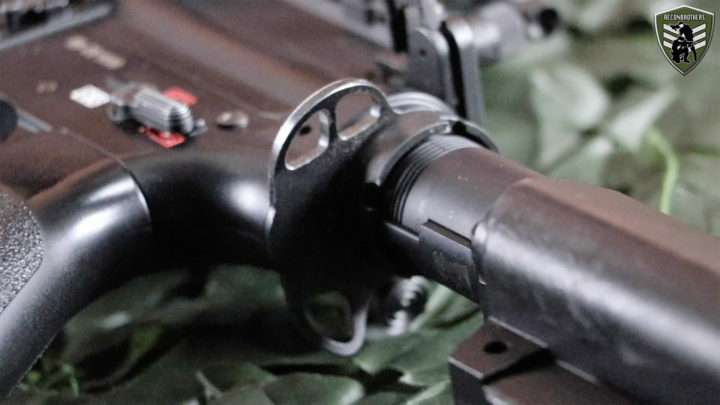 In general, the mounting options that exist are systems like the QD swivel , CQD mounts and paraclips. 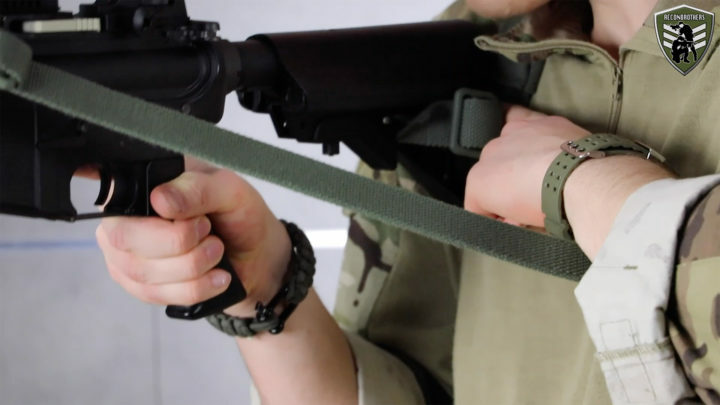 Simply looping with a piece of cord or with the sling material itself are other possibilities. 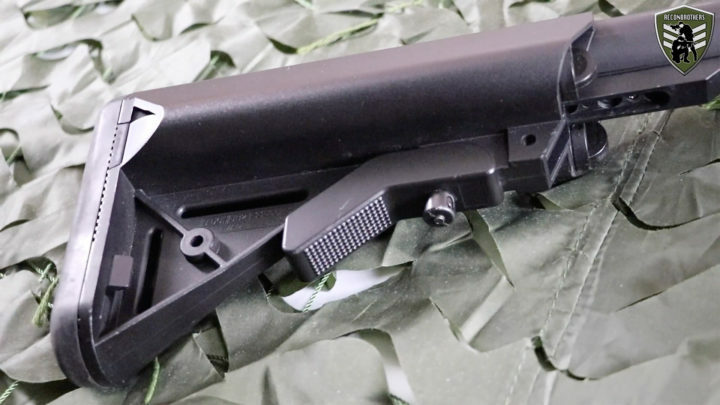 These can then be mounted on the stock or on the handguard with or without any sort of adapters. 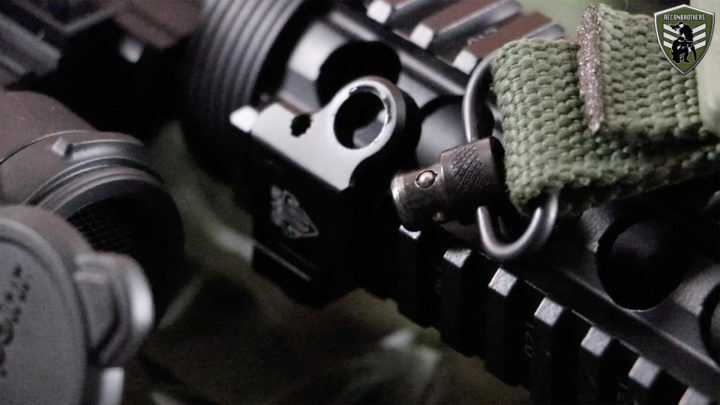 A tactical gun sling mount ring on the back of the receiver also provides lots of options. Whatever mounting options you choose doesn’t really matter, just be sure that you get a decent quality and that it fits. 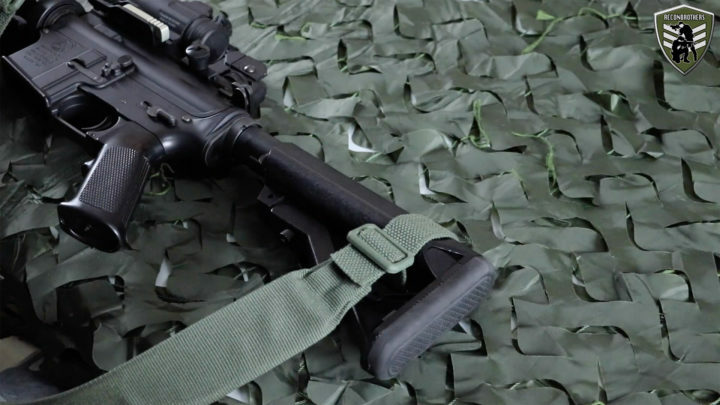 When it comes to setting up a 1-point sling there’s not a lot of choice when it comes to mounting it to your weapon system. 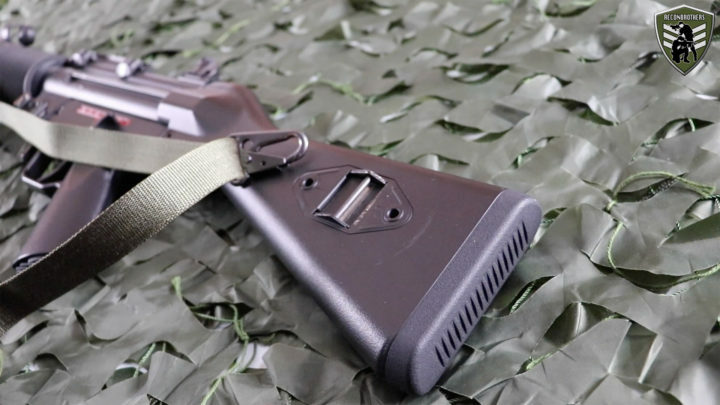 Mounting a 1-point sling requires you to have a sling mount point on the back of your receiver or on the stock tube itself preferably as closely as possible to the receiver. 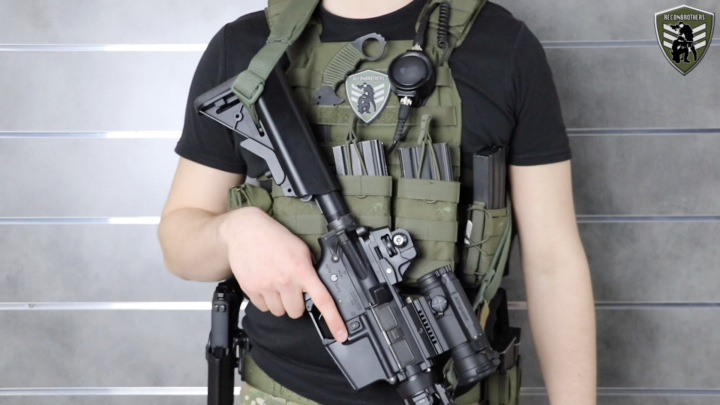 If you would mount a 1-point sling further down on your stock, your will have a more difficult time doing those shoulder switches. 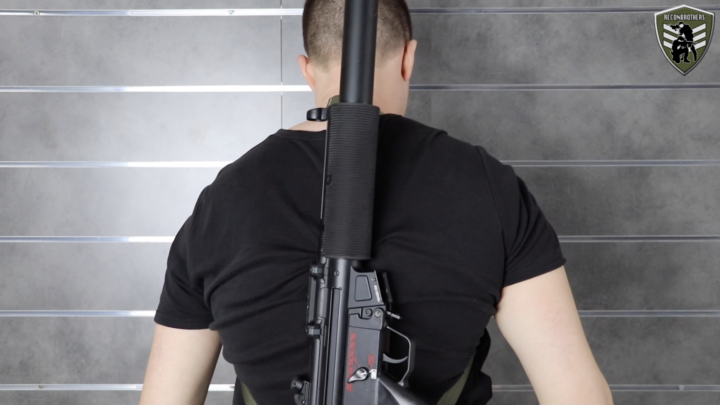 Your gun would also hang way too low for when you’re not using it. 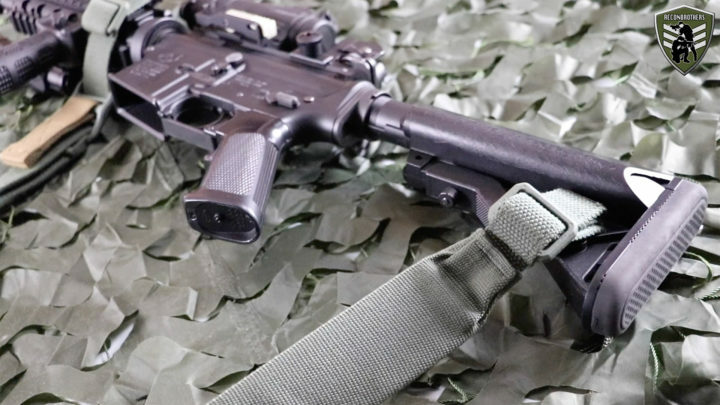 If you have a 1-point sling with a piece of bungee, make sure you mount or adjust your sling in such a way that you actually put that piece of bungee to use. 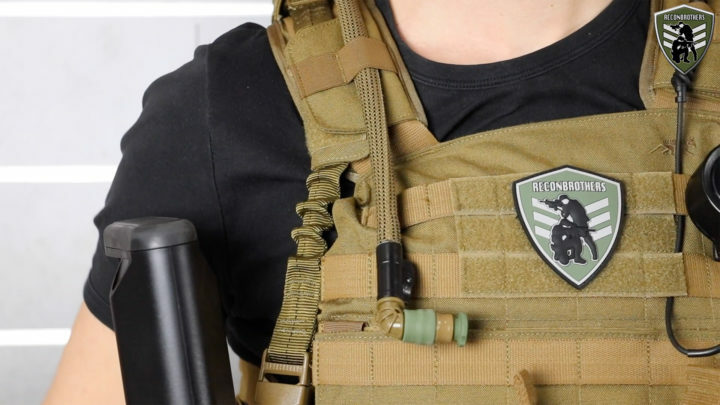 This means, set it up that it actually helps you to push your gun into your shoulder, so you can maximize recoil management. 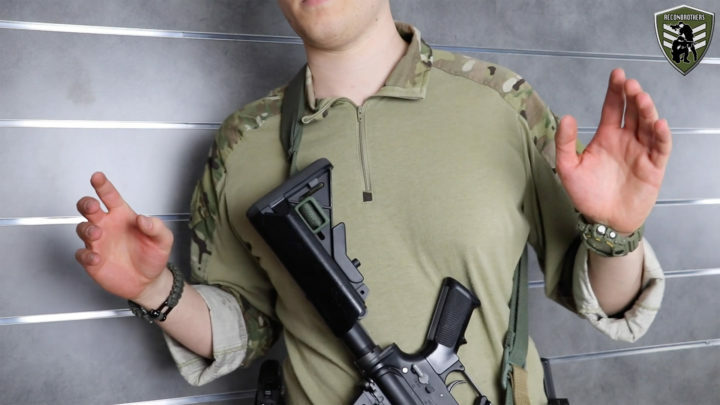 If your gun even does have recoil at all, for the Airsofters out there. 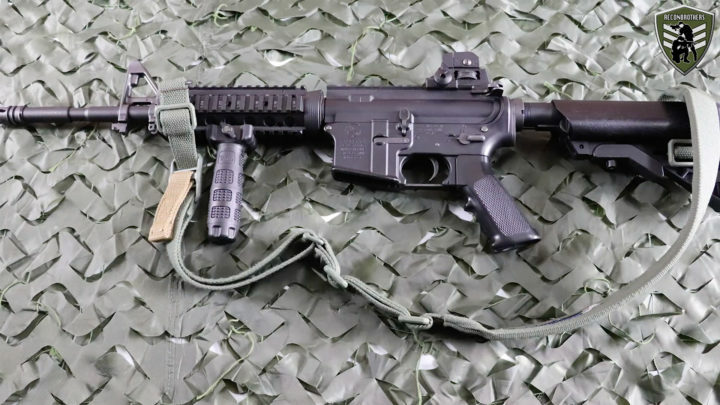 When it comes to mounting them on your weapon you have a lot more freedom. 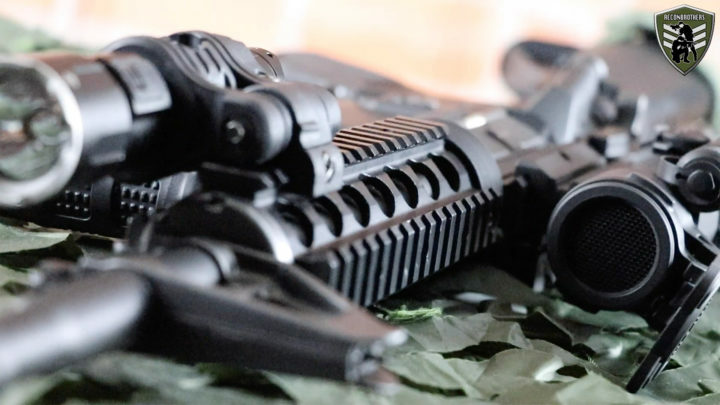 If you think about it, you easily notice that you have a full handguard and stock to use. 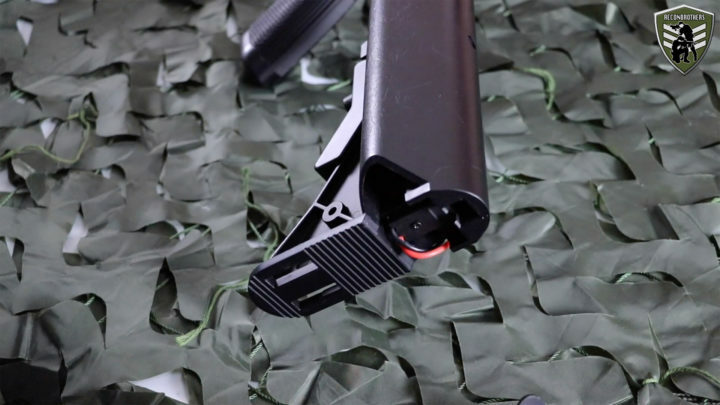 And for the ones that have a tactical gun sling mount ring on the back of their receiver that’s also an added option. 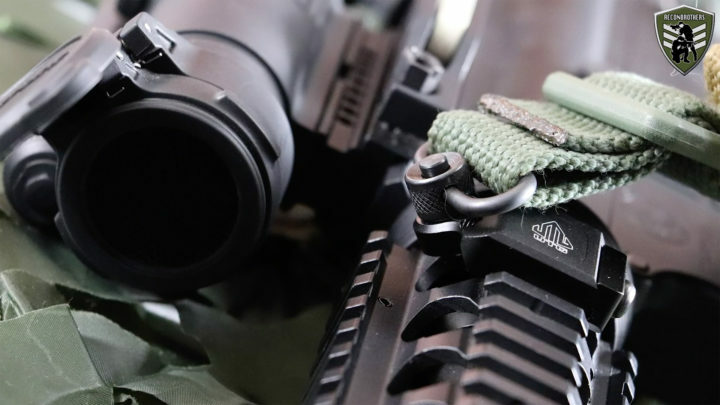 It speaks for itself that the way you function together with your gun decides how you will mount your sling mount points. Also notice that it might change when you gather experience by doing the things you do with it. 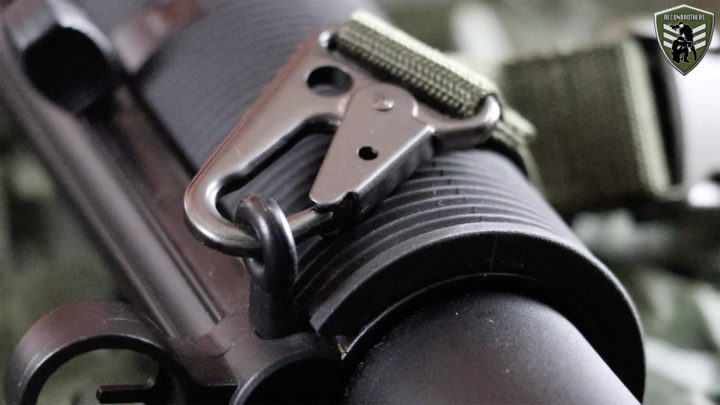 -The more space you leave between the 2 mounting points, the more stable your weapon hangs in place. 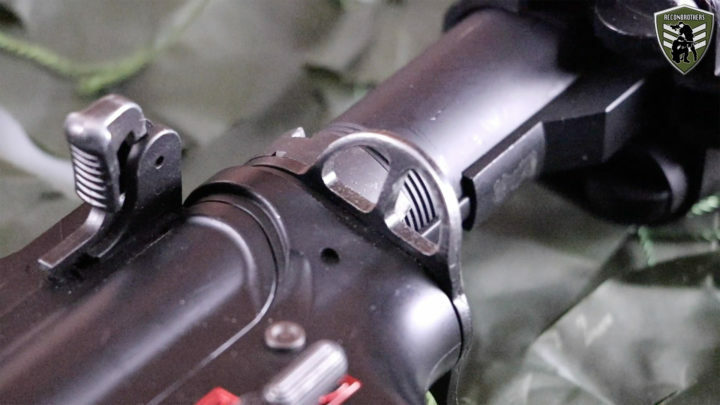 -Also the less further you mount your handguard point, the better barrel maneuverability you acquire. 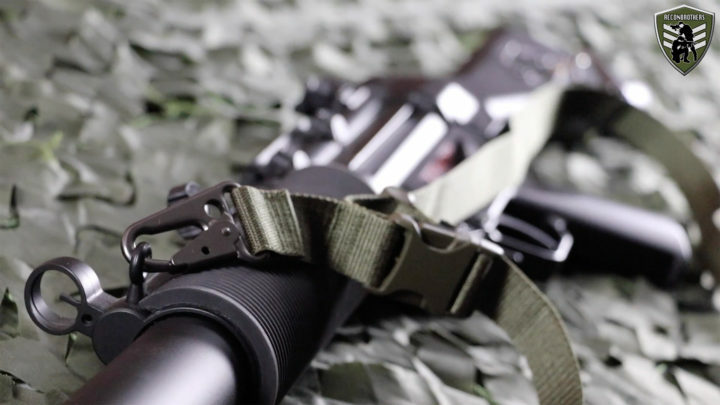 -Mounting one of your mounting points on a sling mount ring, on the back of your receiver, gives you better weapon manipulation because your stock is free to move. 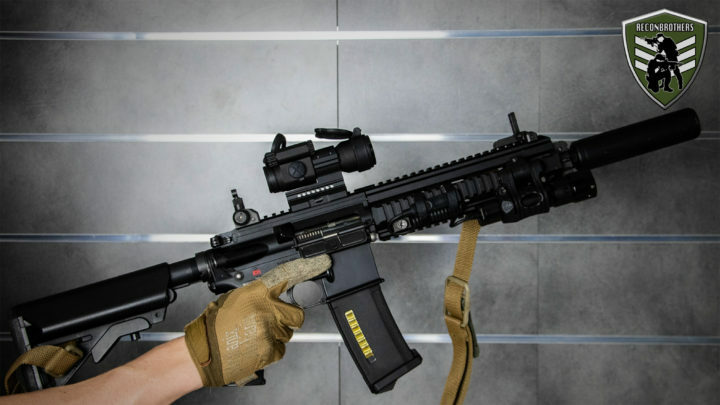 For mounting a point on the handguard, you have to consider about all the other stuff you’re already mounting on it and the remaining space available for how you personally position your hand. This last one might influence whether you mount this point on the side or on top of your rail system. 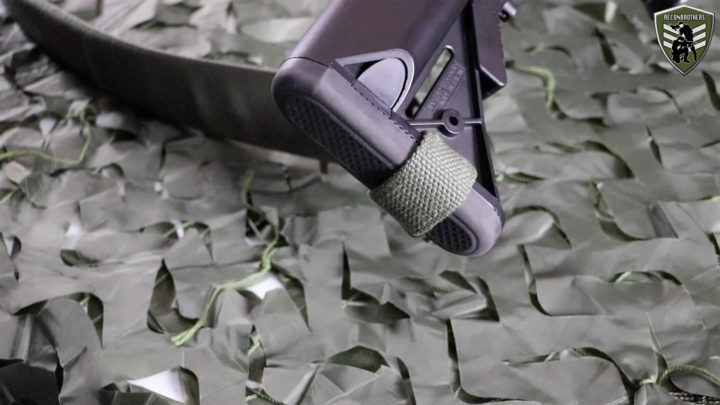 Above all the different mounting clips and hooks you can also loop the sling material itself through the top or back. 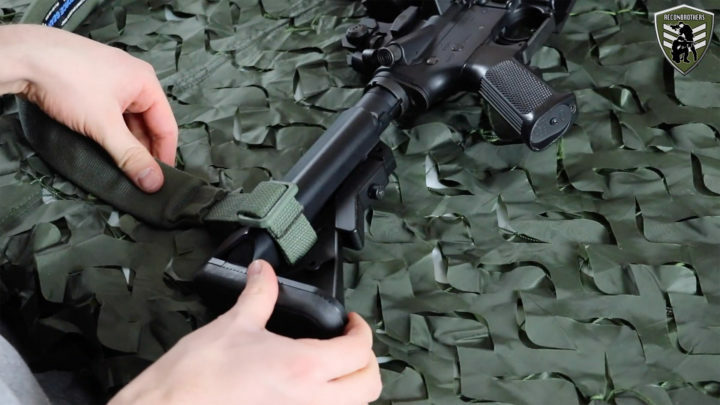 This can either be done by going around your buttstock by using one of the gaps or going through one of the gaps and back by using a triglide. 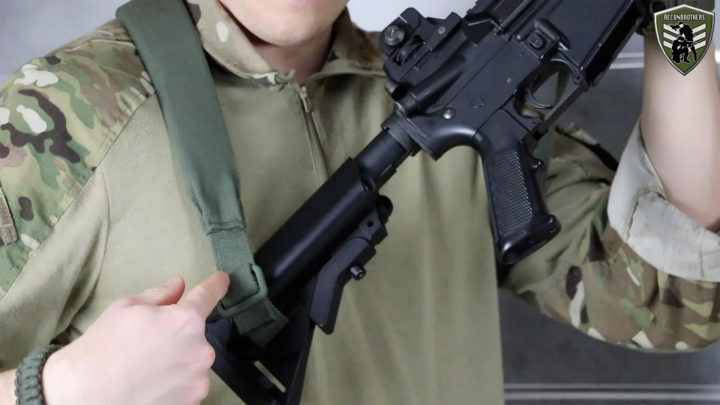 Attaching your sling with or without a mounting point on the back of the buttstock makes your gun hang much more straight down which might not be very pleasant for your legs with longer barrel guns. 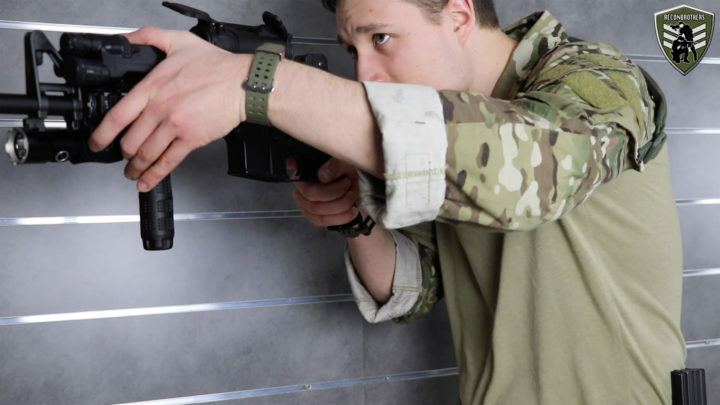 Looping it on this spot might also make an uncomfortable spot on your buttstock for your shoulder. 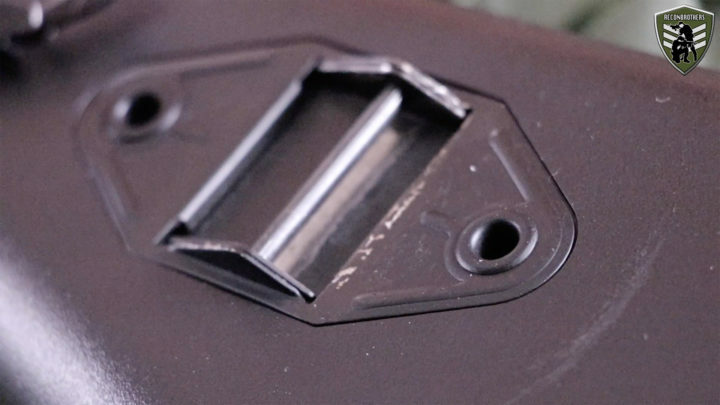 And in the case of Airsoft guns, a lot of battery compartments are put inside the buttstock. 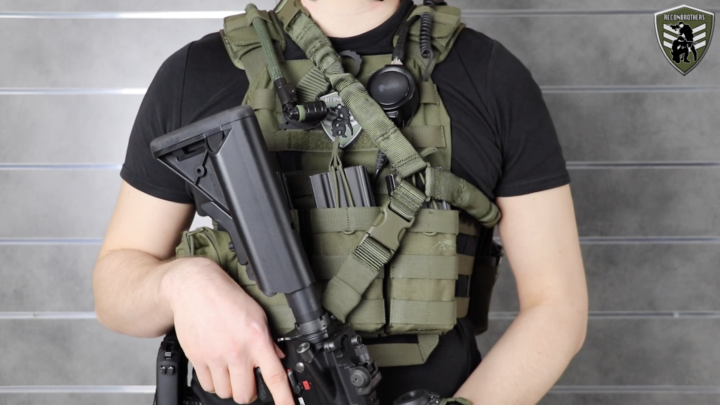 So, looping your sling there might not be the smartest thing to do for easy access. 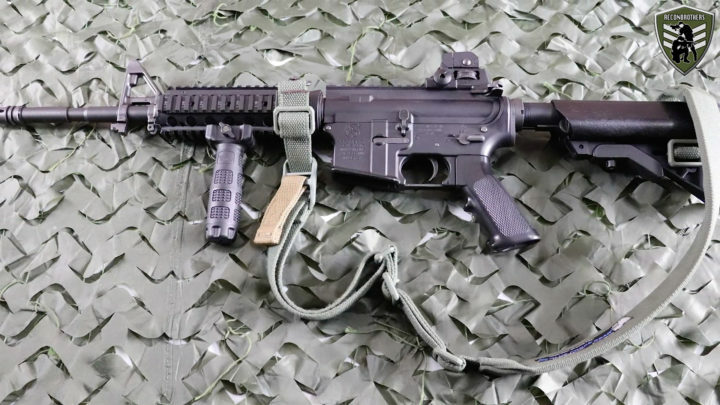 On the other hand, mounting it on top of your buttstock makes your gun hang more to the side and gives your legs more space to let them do their work. 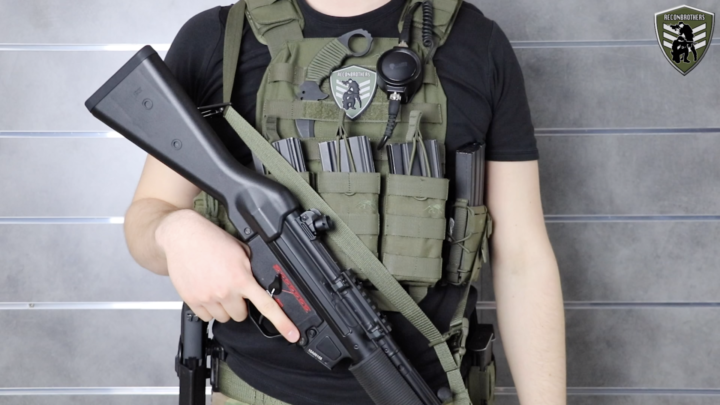 When attaching a mounting point on the inner side of your buttstock, so the side closest to your body, then you can quickly make a choke point for when you switch shoulders. 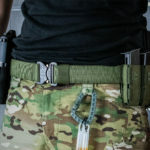 The tactical gun sling will also behave between your body and your weapon when hanging the weapon down or when aiming. When attaching it on the outward side, away from your body, you wont have to deal with these kind of issues. 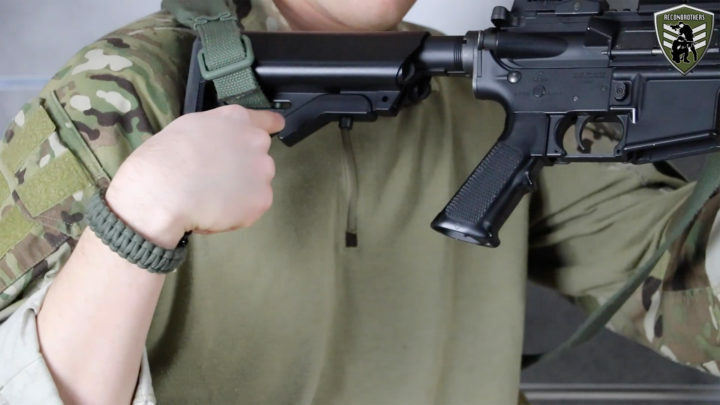 When it comes to adjusting the length for a 2-point sling. It basically comes down to however you want to function with it. 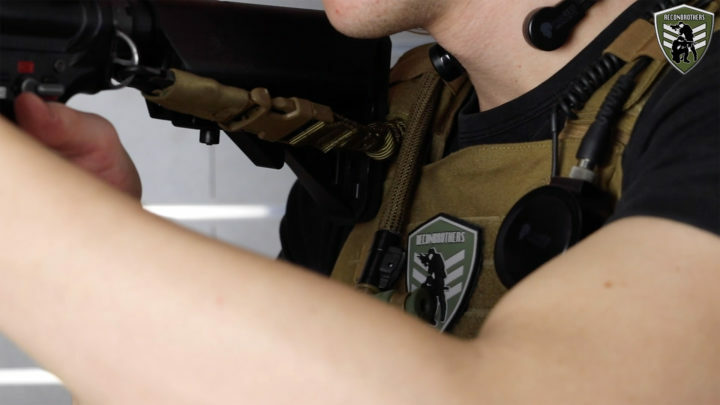 In general you want to have your weapon as closely as possible to your body while still being able to draw the weapon and put it comfortably to your shoulder. 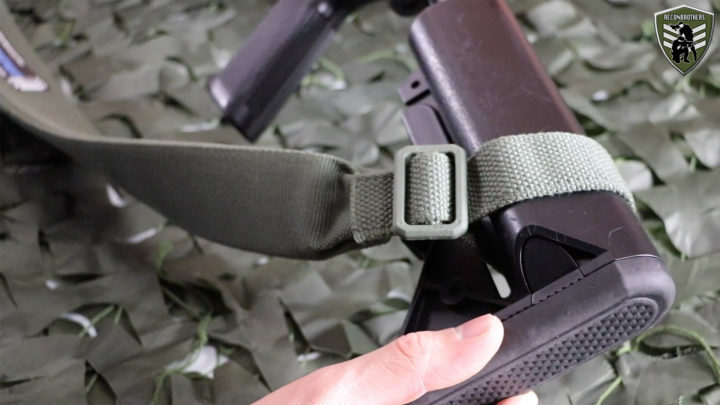 Of course, if you have some sort of padding or wider piece in your tactical gun sling, you actually have to adjust it. 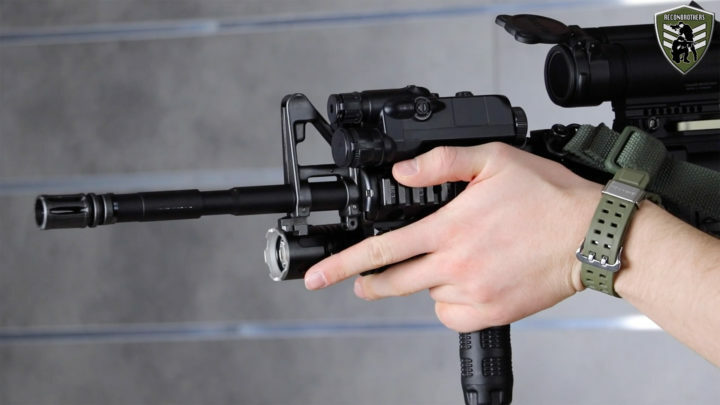 Make sure it’s being placed on your shoulder so you make use of its function to disperse the force. 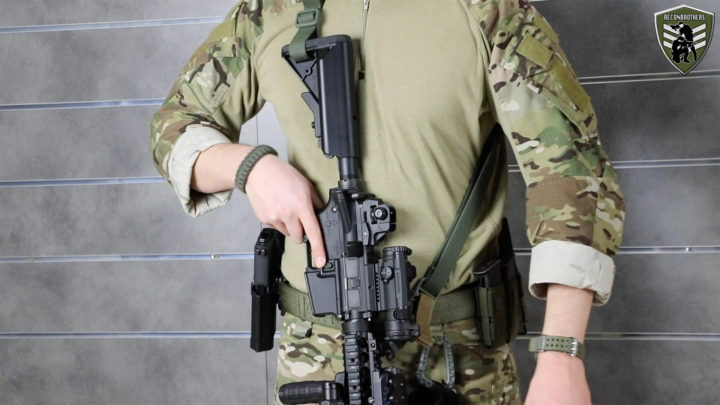 2-Point gun slings are usually carried with the strap over the shoulder of your dominant shooting side to give you the best freedom possible. 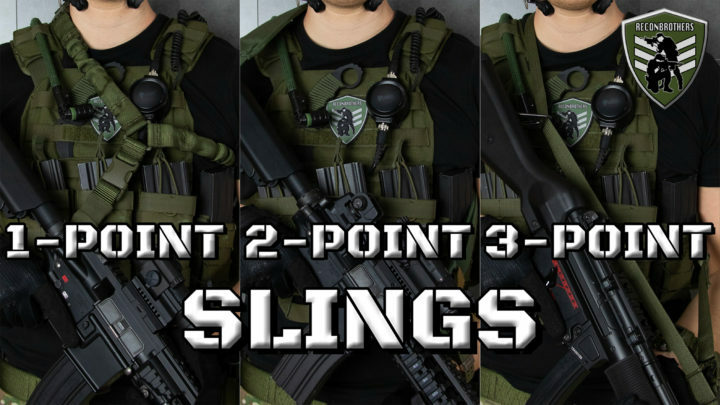 The 3-point sling actually gives you less possibilities than the two-point does. This has to do with its construction. First off, its construction forces the 2 points making contact with the weapon to be mounted on the same side. 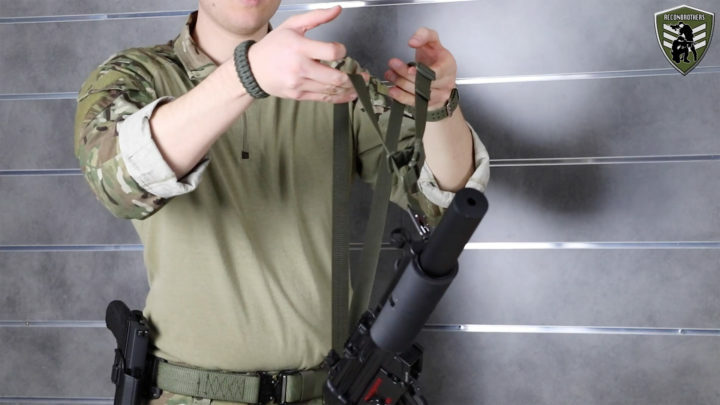 On some submachine systems you do get the ability to loop the sling material through the weapon mount itself. This means less clinging noise of the hooks and mounts. 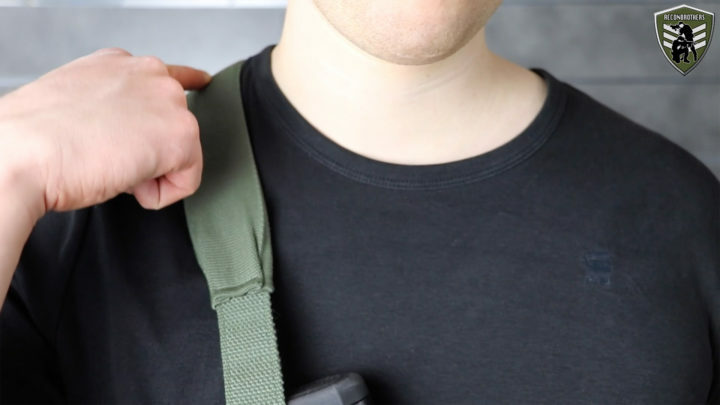 In order to be able to do a climbers carry, you have to make sure the two loops of the sling are about evenly big to get your arms through them. 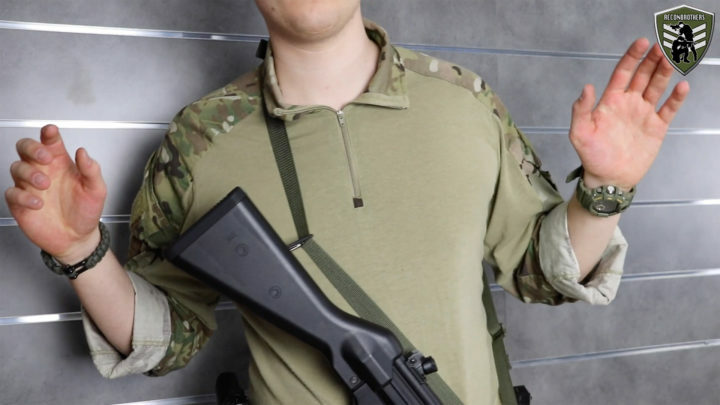 Yet again, like with the 2-point gun slings. The length should be adjusted for its intended functionality but still remain as closely to the body when hanging down. 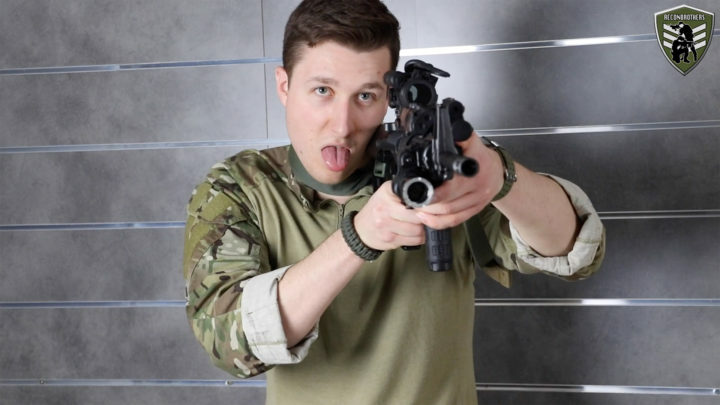 If you have any suggestions of a subject you want us to cover, let us know in the comments down below. 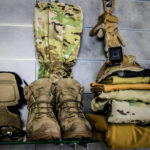 Please subscribe if you want to read/watch more of our blogs/videos. This will help us push the sport further!